Dear Students, If you are looking for banking jobs then it's a great chance to apply. Vananchal Gramin Bank accepting application form from the indian polulance for the posts of Middle Management Grade (Scale-III/II), Officer in Junior Management (Scale I) and Office Assistant (Multipurpose). Candidates who have been qualified in Common Written Examination for RRBs managed by IBPS in September 2013 can apply for these vacancies. ICICI accepting application form for the post of probationary officers. As you all know ICICI bank is India’s second largest bank with quality service. At present time it's have over 2700 branches in India. Thanks to All of you for your Loving relation with us. We at Sarkari Naukri always try to post new government jobs , exam results and update about govt jobs, results fast. You can also Follow and Join us on the following Social Sites, Here you can join and suggest your friends to join for free alerts. Thanks again for your support, we will provide more job alerts and will improve our services. PLEASE SHARE WITH YOUR FRIENDS AND JOIN US. 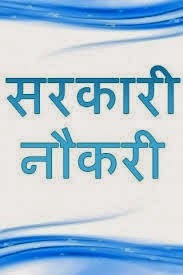 For All Government Jobs, Sarkari Naukri, Recruitment, Vacancy, Exam Result, Bank Jobs, Interview, Job Portal. Dear Students, Jai Narayan Vyas University finally declared PTET exam result. PTET exam result has been published result on official website. 1) You can check your result just by entering your Roll No. 2) You can also check result by Entering your Name, Mother's Name and Date of Birth. Dear Students, New Candidate are required in NABARD. NABARD is running by Govt. of India. NABARD is accepting application form from Indian populace for Priyadarshini project. Priyadarshini is a project that is running by NABARD. There all posts are on contract basis for limited programme at different places Raebareli, Bahraich, Shravasti & Sultanpur in Uttar Pradesh. Dear Students, Finally Rajasthan board declared 10th class exam result. Rajasthan board ajmer announced result of tenth class today june 6 2014. If you like Free Job alerts Please share and join our blog. The Union Public Service Commission (UPSC) will hold the Engineering Services Examination, 2014 from 20th June, 2014 for staffing to the around 582 vacancies (PH-24) of Indian Engineering Service. The Examination will be held at different centers crossways the country. If you Like this post or our website then please share this with your friends and also join us here for free updates and new government jobs.